Suspended slab sub-flooring can be used as a ground floor slab for greater stability on hilly ground. What is a suspended slab? Suspended slabs are above-ground level slabs which are not directly in contact with the earth. They are commonly used to create floors for the upper storeys of houses, but can also be sat on top of pre-constructed walls to form a ground floor. What are suspended slabs made of? Suspended slabs are made of concrete and steel mesh, the same as a ground slab. They are normally pre-fabricated offsite, and transported by truck. Some slabs have hollow channels running through them - these 'hollow core slabs' are used to help reduce weight, and also to allow cabling and piping to be run through the slab. Because the slab will bend in different ways depending on how many support walls it has, the main steel reinforcement has to be placed in different areas to even out the tension. 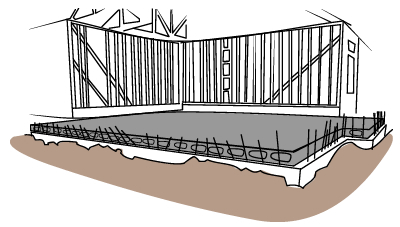 A slab supported by two walls will tend to fold in the middle, so rebar placed parallel to the short span will provide maximum support. A slab supported by four walls will sag in the middle creating two bends, so steel mesh is needed for stability. This is usually placed in a double layer. 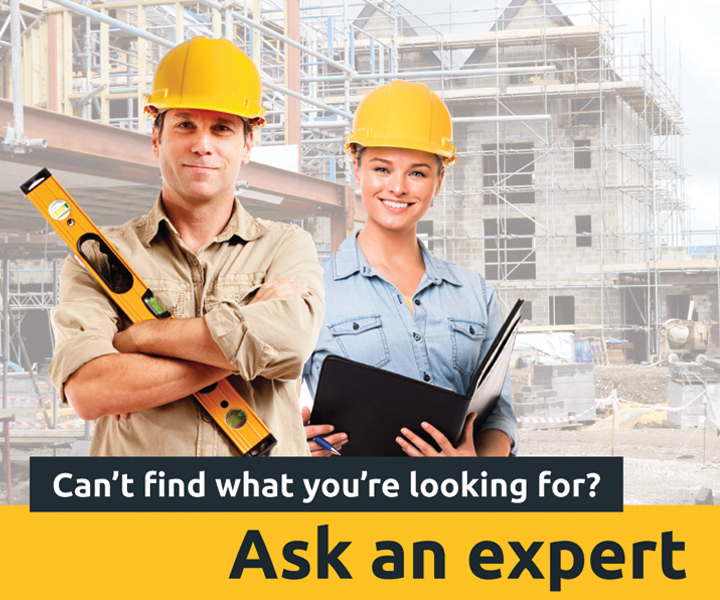 How is a suspended slab installed? Suspended slabs have to be pre constructed and lifted into place by a crane. This can cause a problem if there isn't enough room, so check your site carefully well before installing this kind of base. Once in place, the edges are grouted for waterproofing and after a few days, more concrete is poured on top as a cap. Where are suspended slabs used? These are typically used in multi-storey dwellings for upper floors, but can also be used to good effect on the ground level in hilly terrain. By digging out a site, concrete support walls can then be erected to bring the slab height to ground level.